Napoli è la città italiana ufficialmente candidata ad ospitare Wikimania 2013. Sede: Un certo numero di luoghi sono attualmente in fase di valutazione. Tra questi ci sono la Città della Scienza, il Castel dell'Ovo, la Stazione Marittima, la Mostra d'Oltremare e il Palazzo Pacanowsky, presso l'Università degli Studi di Napoli. Tutti questi siti sono in grado di ospitare più di 700 posti a sedere all'interno di vari auditorium, inoltre sono disponibili delle sale per le conferenze che verranno dedicate alle sessioni parallele. Periodo proposto: dal 22 al 28 luglio 2013. Contatti: Ferdinando Scala (Ferdinando Scala), mail:wikimanianaples2013@gmail.com, languages: it-m, nap-m, en-4, fr-4, es-2. Naples is the third biggest municipality (central area) of Italy, directly built on the Mediterranean sea. Its metropolitan area is the second most populated metropolitan area in Italy after Milano. Founded more than 2,800 years ago (8th century BC), it is one of the most ancient cities in the world. In 2013, Naples will be the World Capital of Cultures, since it will host the Universal Forum of Cultures (UFC) from April 10 to July 21, 2013. Our provisional aim is to organize Wikimania in the week between 22-28 July, 2013, in direct continuity with UFC, but the following week could also be considered. Shortly before the proposed dates for Wikimedia 2013, the city will also be the location of other two global events: the America's Cup World Series (May 2013); and the International Astronautical Congress (October 2012). The Naples International Airport hosts direct flights from all the major European cities, and serves a consistent number of worldwide locations. For the countries not directly served by Naples' hub, the two international airports of Rome Fiumicino (all airlines) and Rome Ciampino (low-cost airlines) are comfortably reached in 1 hour of high-speed train. (Wikimania usually does not offer dinner. What are the surroundings of the location like? Lots of restaurants and places to hang out? 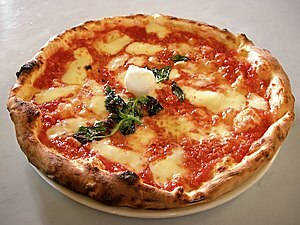 Naples is the hometown of some very known and specific dishes and aliments, like Neapolitan pizza, Mozzarella di bufala and Neapolitan babà. As a prominent international city, Naples hosts 55 embassies and consulates from all over the world. This can greatly facilitate and speed up the process of visas obtainment for relevant participants. Plus, it gives a familial point of reference to which address for any problems/needs. As a UNESCO World Heritage site, the center of Naples hosts a huge number of architectural landmarks. Castel Nuovo, 'Castel Nuovo' ("New Castle"), often called Maschio Angioino, is a medieval castle and the main symbol of the architecture of the city. It was first begun in 1279 by Charles I of Anjou and completed three years later. Castel Nuovo soon became the nucleus of the historical center of the city, and was often the site of famous events. For example, on December 13, 1294, Pope Celestine V resigned as pope in a hall of the castle. The event was famously depicted by Dante Alighieri in his masterpiece la Divina Commedia, in the verse Colui che per viltade fece il gran rifiuto. 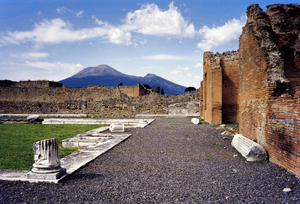 Climate: As in most part of the Mediterranean, in July-August the weather in Naples can be consistently sunny and hot (average daytime temperature around 29 °C/85 °F). Participants from colder countries can find it uncomfortable. Solution: An efficacious way of dealing with high temperatures is simply following the Neapolitans’ habitudes. Drinking a sufficient amount of water, limiting the consumption of fat-rich food and alcohol during the day, and avoiding to get around in the hottest hours (between 12.00 and 4.00 pm) are normally effective measures. Very white, soft-skin individuals can easily avoid sunburns by wearing cotton or linen short-sleeve shirts, using appropriate solar creams and wearing sunglasses when exposing to daylight. The abovementioned measures only apply to excursions in the city during the day, while no problems are perceivable in the interior of the buildings, namely the conference sites, which are all air-conditioned. At night, temperature significantly lowers (average is 18 °C/64 °F), and a frequent wind from the sea makes dining and walking outside very comfortable. This page was last edited on 21 September 2017, at 20:14.